My Favorite Photo Album + Coupon! When I got married, pictures were important but I had a limited budget. I opted for a photographer that I liked and that included a disc of images instead of a print package. I printed the ones I wanted and searched for a place to create a photo album. I finally settled on Blurb, and I am glad I did! I think I paid a 20th of what my photographer was offering! By doing my own wedding album, I also was able to include where Marc proposed, our engagement pictures, and our honeymoon pictures! The album is 52 pages long with lots of color and lots of pictures. I chose a hardback book with a picture on the cover and the back. Blurb by far was most affordable and had the most options. Don’t tell, but this is one of my planned Christmas presents for the new grandparents for Christmas after our little guy arrives. 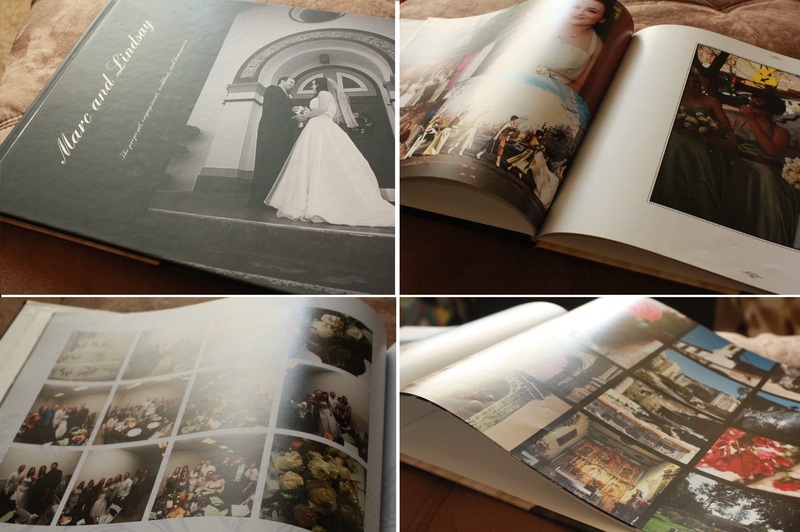 I think I will do his 1 year photo album from Blurb as well (you can also make cookbooks!). Need another reason to make a photo album? Blurb is offering 15% off their new Facebook Photo Albums! How much easier could that get? Click HERE and use the code 15OFFBLURB to start one today! 15% off Blurb Books Offer: Make Your Own Blurb Book and Save 15% | Code: 15OFFBLURB | Dates: 1/1/12-3/31/12 | Promo code details: Offer valid through March 31st 2012 (11:59 p.m. your local time). A 15% discount is applied toward your product total. Maximum discount is USD $200.00. CAD/AUD $250, EUR 160 or GBP 140.00. This offer is good for one-time use, and cannot be combined with other promotional codes, gift cards, or used for adjustments on previous orders.